November 11, 2015 -- You start and end your day in the bathroom ... so it should be a place that's welcoming, relaxing and private. If you're remodeling a bathroom, start by thinking of adding a coordinated suite of products to unite the style of the tub, sinks and toilet. Then look around at the windows in your bathroom. Instead of using clear glass windows that will need to be covered up with you desire privacy, look at your options. Fixed and operable acrylic block, true glass block and decorative glass privacy windows add style to the bathroom while keeping away prying eyes. 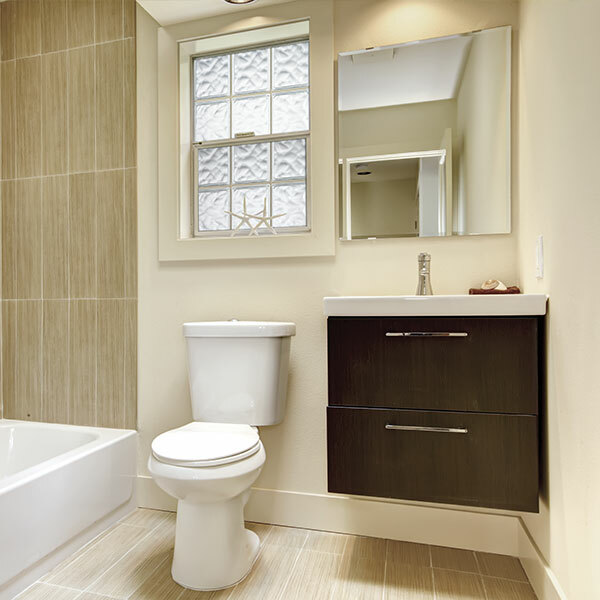 With dozens of styles and options to choose from, you can add a window that complements your bathroom's design style. From contemporary to modern to Arts & Crafts, Hy-Lite has a wide variety of windows that are the perfect way to add privacy and elegance to your bathroom. Finally, when you're ready to add the "icing on the cake," select decorative millwork for your bathroom to enhance its elegance. Remember, bathrooms are humid, so look for moisture-resistant polyurethane moulding and accent pieces to add around shower stalls, frame out mirrors and enhance your window. There's no place like home. And within your home, there's no place like the bathroom. Give this important room your full attention when making home upgrades.